Why See Leslie Odom Jr.? A Night of Extraordinary Jazz! Leslie Odom Jr, best known for his Tony Award-winning role as Aaron Burr in the original cast of Broadways Hamilton, is hitting the road and performing hits from his debut solo album. Sharing the stage with him will be some of the greatest symphonies for an evening like no other. The self-titled jazz album was self released in 2014, and then released again in 2016 by S Curve Records - which then quickly saw the album reach No. 1 on the Billboard Jazz charts. The jazz album includes tracks; 'The Guilty Ones' from Spring Awakening and 'Cheer Up Charlie' from Willie Wonka and the Chocolate Factory. After making his Broadway debut aged just 17 in Rent, the acclaimed star of stage and screen has gone on to feature in Smash, The Good Wife, Grey's Anatomy and originated the role of Aaron Burr in Hamilton, for which he scooped up the 2016 Tony Award for Best Actor in a Musical. 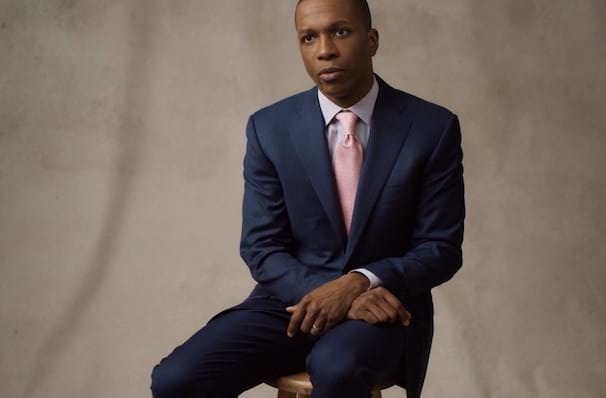 Seen Leslie Odom Jr.? Loved it? Hated it? Sound good to you? 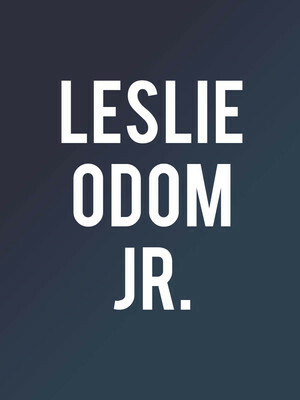 Share this page on social media and let your friends know about Leslie Odom Jr. at Kennedy Center Concert Hall. Please note: The term Kennedy Center Concert Hall and/or Leslie Odom Jr. as well as all associated graphics, logos, and/or other trademarks, tradenames or copyrights are the property of the Kennedy Center Concert Hall and/or Leslie Odom Jr. and are used herein for factual descriptive purposes only. We are in no way associated with or authorized by the Kennedy Center Concert Hall and/or Leslie Odom Jr. and neither that entity nor any of its affiliates have licensed or endorsed us to sell tickets, goods and or services in conjunction with their events.